OVER COAT is designed to be (easily) applied over the durable base layer coating…which could be ISM COAT, MIYABI COAT, and other brands of glass, ceramic, or polymer coatings. OVER COAT will take the abuse of the elements, while protecting the under layer. And since it’s so easy to apply and work with, you can quickly maintain your coated vehicle every month or two (durability however is listed as 3-6 months). Besides being very easy to apply (wet or dry! ), OVER COAT has some of the most insane hydrophobic / water beading properties available! It can be used on paint, glass, plastic trim, or rims. The special formulation of hard resin and Siloxane can also perform light filling and cover small swirls or haze in the paint for those who haven’t had their paint perfectly polished. 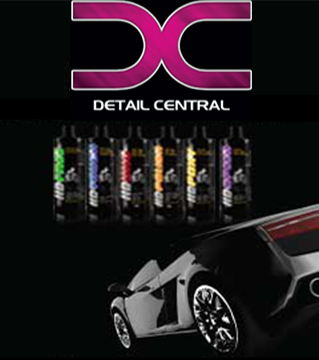 So given the fact that OVER COAT can be applied wet or dry (easy use like a quick detailer), it is designed as a sacrificial layer for ALL types of coatings, can be used on most areas of the car, is capable of light defect filling, and has crazy water beading characteristics…this will easily be the #1 seller in the Kamikaze line! OVER COAT can be applied in a variety of ways, and without much effort at all. When drying the vehicle, either mist a few sprays directly onto the panel and dry as normal, or spray onto your waffle weave drying towel. You will quickly notice a slickness to the finish while drying. If you choose to dry the vehicle first, then apply in a similar manner. On a dry car it is preferred to spray OVER COAT into your plush microfibre towel, then gently buff into the surface. A little bit goes a long way, and the 100ml bottle is capable of coating 8-10 cars! The by-hand application can be done on either coated, or non-coated vehicles. And for an advanced method (ONLY on non-coated cars), you can apply OVER COAT by machine using a soft finishing pad, and slow machine speed. This application method will increase durability, and will do a better job of filling in fine hairline defects. If you do find any light water spotting on a vehicle topped with OVER COAT, just use the WATER SPOT REMOVER by KAMIKAZE, and then re-apply a fresh coat of OVER COAT on the affected areas…quite simple! OVER COAT by KAMIKAZE is the easiest way to protect your coated vehicle, and it serves as a great maintenance program to get the most out of your coating’s durability and gloss. And if you like extreme hydrophobic / water beading properties, you’ll be hard pressed to find anything as good and easy to use. I am onto my second bottle of this, despite it being extremely economical... because it saves me so much time in the shop. Never streaks, never smears, the best water behavior and dirt releasing properties of any product I have ever used. Works with amazing synergy paired over Miyabi Coat. I used some of this on a black WRX that i had already coated in dark angel wax. Couple of sprays and i literally watched the coloured fleck in the paint jump out! Have used once now and yes it gives the car a very slick finish. Only giving 4 stars for now as I don't know how long this product will continue to bead the water. This stuff is amazing. Have to use it to believe it. Holds up better than a lot of spray waxes, even on lower panels. I'm now using as a post wash quick detailer with a damp microfiber, so easy. A little goes a long way doing it like this, so don't be put off with the price. Purchased this product as a temp layer until I have time to correct and seal. It is sensational, super easy to apply, no fumes or smell, has bought out the metallic flake and increased the gloss levels beyond the wax I had underneath. If this is anything to go but I can't wait to try ism coat. Thank you detail central and kamikaze.